Who loves Mason Jar Crafts? Me! 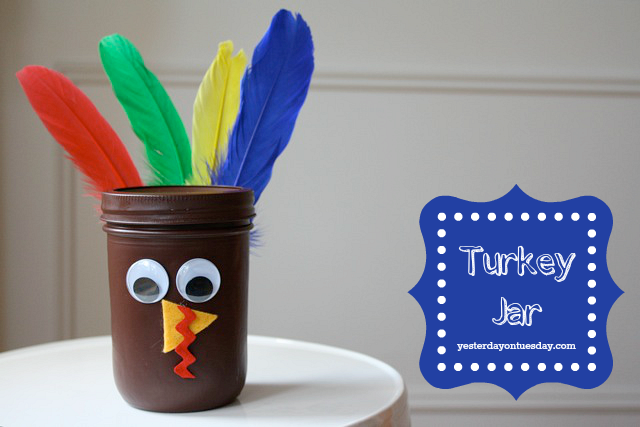 That’s why I HAD to make a Turkey Jar Craft for Thanksgiving. 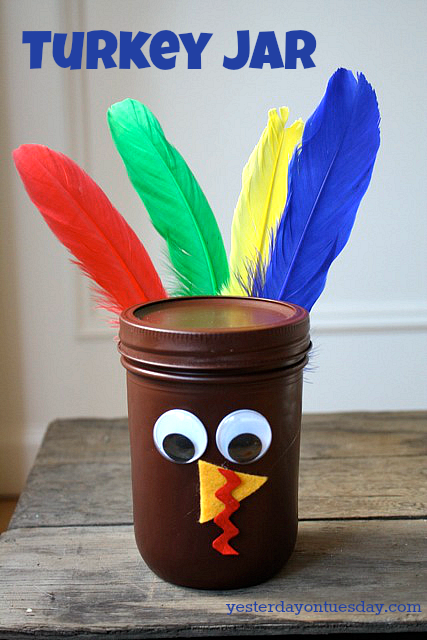 Perfect for a hostess gift… fill this turkey up with candy and watch your friends and family gobble it up! 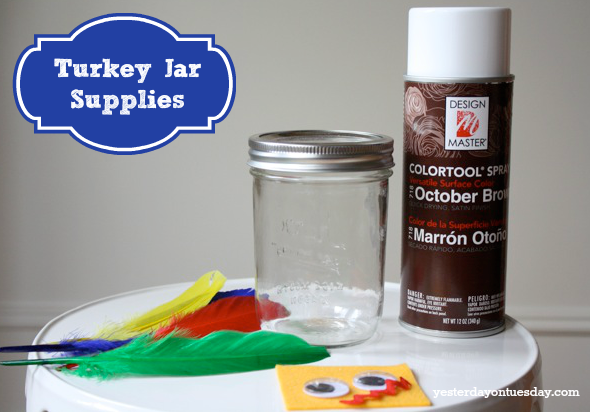 Supplies: Wide mouth Mason Jar, brown spray paint, large feathers, googly eyes, yellow felt (for beak), red rick rack, glue dots and hot glue. Spray paint the jar brown (it may take a few coats). Don’t forget the lid! 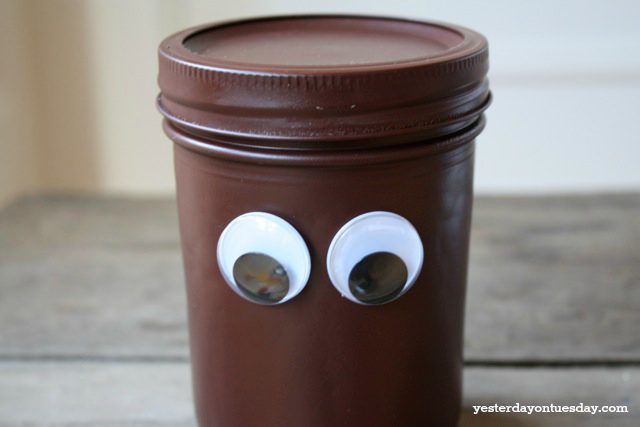 Use glue dots to add googly eyes. Cut a beak out of felt and a wattle out of rick rack. Adhere with glue dots. 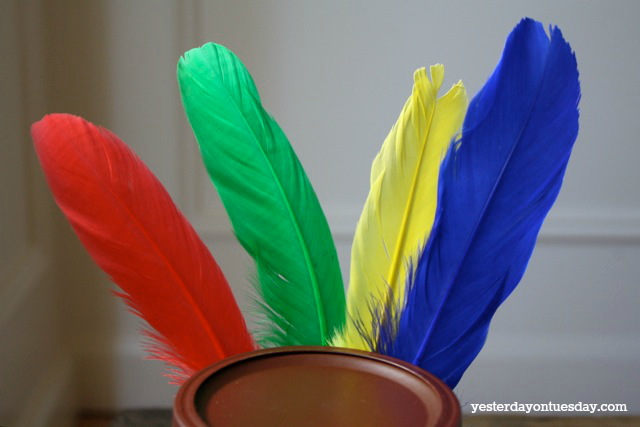 Use hot glue to attach feathers to the back of the jar. 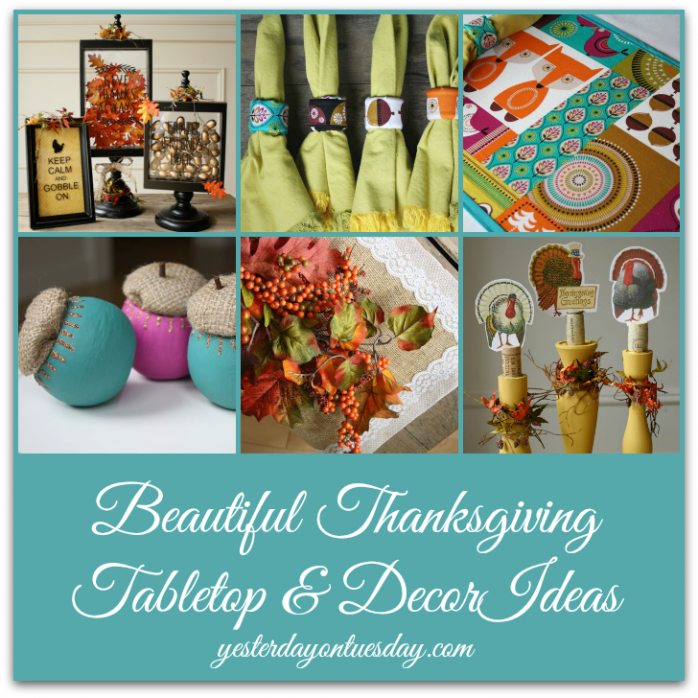 And finally, Thanksgiving Tabletop and Decor Ideas. 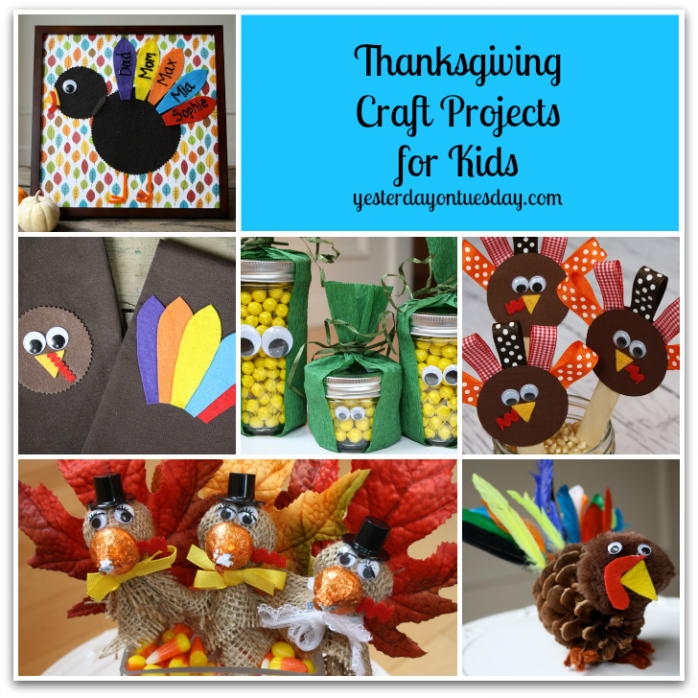 My nieces would love crafts like this! Gotta bring them over to get busy. Thanks for sharing. I love this craft – how cute! 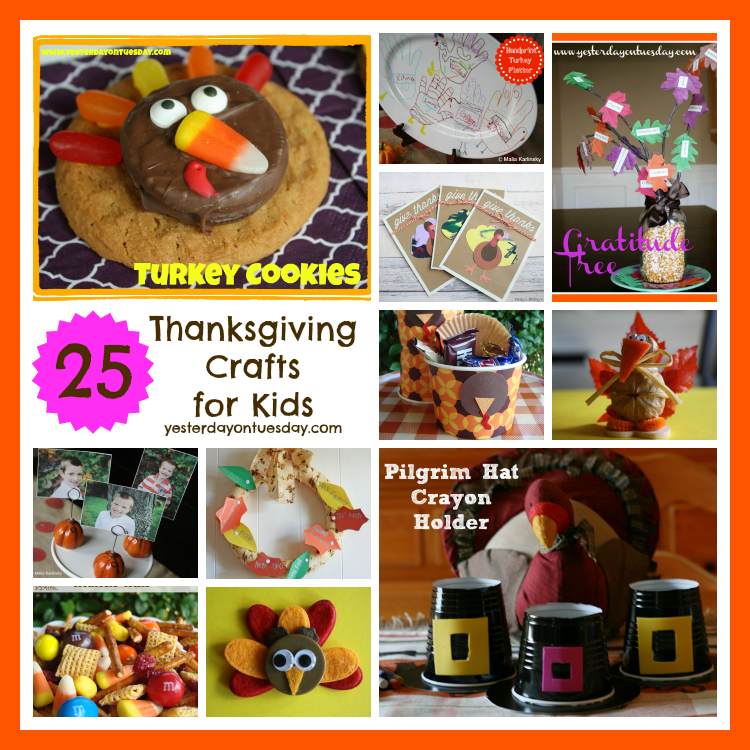 I’d love for you to share this on my Thanksgiving blog link party! another adorable project!!!!! My daughter would love this!